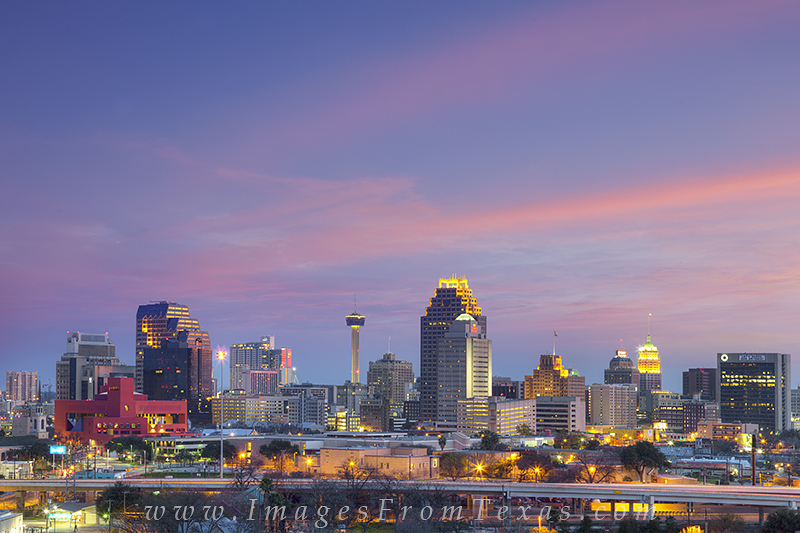 Soft pastels fill the sky over the skyline of San Antonio, Texas. As the 2nd largest city in Texas, this growing city has it all - outdoor activities, fine arts, deep-rooted history, great tex-mex, and a relaxing stroll along its famous Riverwalk. Photo © copyright by Rob Greebon.